A study published in the Journal of Biological Conservation has contributed further to the concerns regarding human impact upon plant evolution. It has become increasingly apparent that plant species, particularly those dependent upon seed dispersal, may suffer disproportionately from the impact of the modern world. Aside from being of less emotive 'value' in conservation campaigning than fauna, seed-dispersing plants have been severely affected by intensive farming and monoculture crops. 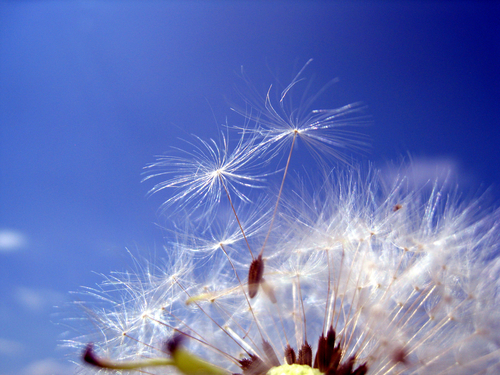 The study suggests that it is now becoming impossible for many species to adapt new seed dispersal techniques in time to cope with the speed and intensity of human landscape modification. The study also suggests that the habitats that have been impacted by multiple human modifications are likely to suffer disproportionally as plants providing different ecosystem services are likely to be affected by different human behaviours. It is probable for instance that whilst climate change, invasive species, monocultures and habitat fragmentation apply pressure upon one set of species, hunting and harvesting techniques may impact another set of species within the same habitat thus endangering a range of ecosystem service providers. The possible loss of species and therefore ecosystem services was described by co-author Dr Prasad as very 'complex' and requiring further research. "The global pollination crisis has been acknowledged as being a major concern... But there is also a growing crisis around the world when it comes to seed dispersal, yet it is not fully recognised or understood. So we reviewed existing information to synthesis it in a form that was not only useful for researchers but also for land managers." - Dr Prasad from the Centre for Ecological Science at the Indian Institute of Science. One of the recommendations of the study is to increase the conservation status of those species displaying unique seed-dispersal methods before these idiosyncrasies are lost to extinction. This does not seem a dramatic suggestion - the scientists behind the study said that some species were being driven 'to the brink of extinction in most human-modified landscapes'. Other than extinction, factors such as changed densities, changes in common habitat composition and introduction of foreign species are affecting the natural selection process and the way in which a species may adapt to a changing habitat. Fragmentation and the speed of landscape change are described as particularly problematic for seed-dispersing plants as migration paths and systems have been fragmented by land change. This has left small pockets of plant species that are thought to be too few in number to evolve speedily and are now stuck in a 'biological island' due to reduction in numbers of mega-fauna that previously carried seeds over long distances. The study has highlighted the need for agriculture companies, conservation researchers and land managers to compile and share data. A central concern of the study is the lack of cooperation and reflection between seed scientists and conservation professionals"a growing understanding of the ecology of seed dispersal has so far had little influence on conservation practice, while the needs of conservation practice have had little influence on seed dispersal research". It is thought that this study will contribute to the growing controversial debate regarding land classification. A growing number of scientists are pushing to have bed-rock, flora and major geographical features play a more significant role in the conservation assessment of a particular area; it is increasingly thought that insect and animal biodiversity are focused on, rather than the factors that are likely affecting the biodiversity of an area, such as plant species.